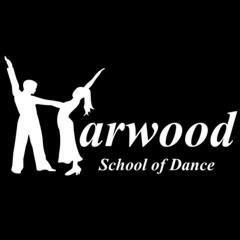 Dance Classes, Lessons, Events & Courses for Harwood School of Dance. The Grosvenor Rooms is owned and run by David and Jayne Harwood. We opened the Grosvenor Rooms in June 2007 after purchasing what was the former labour club. Before 2007 we had run the Regency Ballroom in the Market place in Sutton in Ashfield since May 1993 running the Harwood School of Dancing. Prior to this we had been teaching now for over 40 years in various Town and Villages around Nottinghamshire. When we relocated the 200 yards to our new venue we retained all of our 9 teachers. Dance Hall for Hire, Regular Dance Classes, Not Location Based. Dance Styles: Line Dance, Modern Sequence, Modern Ballroom, Latin American, Tango (Argentine), Salsa Dance, Rock 'n' Roll, Classical Sequence, Junior Dance, Pre-School Dance, Ballroom, Mixed Social Dance. Email: Harwood School of Dance. Website. All Entries for The Grosvenor Rooms Venue. Line, Modern Sequence, Modern Ballroom, Latin American, Tango (Argentine), Salsa, Rock 'n' Roll, Classical Sequence, Junior, Pre-School, Ballroom, Mixed Social Instruction, Practice. Contact organiser for times and further details.